Most people approach Prabakaran and his widely known LTTE on emotional ground. Either they blindly support or they blindly oppose. Both there approaches fail to paint complete picture about him. 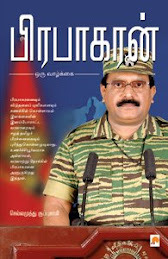 His organization was started with a rusted revolver, but now Prabakaran is running a government. He possesses police force, judicial system, army, navy and air force ... everything that a nation ought to has. Before arriving into any judgment about Prabakaran and his outfit, it becomes imperative to understand the history of Sri Lanka's ethnic conflict. What was the beginning point the endless war between Sinhalese and Tamils? What started it and why? How long this fire is going to be on? 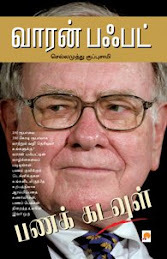 Can the self determination question of Tamils could be resolved only at war front? What are the innocent civilians caught in the the crossfire going to see a dawn? Is Tamil Eelam the only solution? Can Prabakaran win that for his men? Or is everything is going to end at his demise? LTTE is a banned organization in India. Prabakaran is a main accused in Rajiv Gandhi's murder. Many countries in the world have banned the tigers. Sri Lankan government does not show any signs of putting an end to the war as it believes tigers can be completely destroyed. What is in store for the rebels? What is going to be its future? The book on Prabakaran tries to examine these questions.